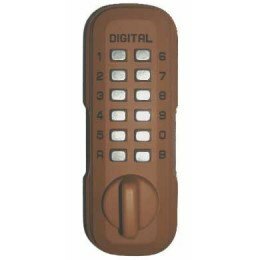 Lockey LKS200 Digital Key Safe - Brown, blends into the background and can be fitted to an outside wall or onto a door where it appears to be a digital door lock therefore offering extra security. 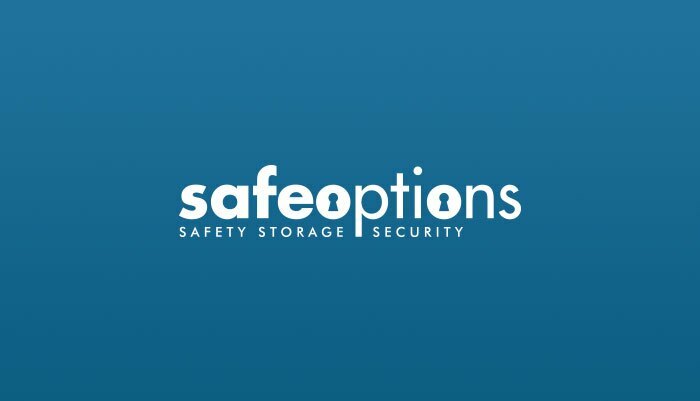 View or download the operating instructions by clicking the PDF symbol below. 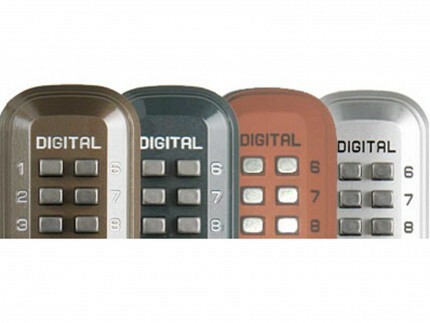 LOCKEY LKS200 Digital Key Safe finished in Brown to match your door or brickwork to aid security. 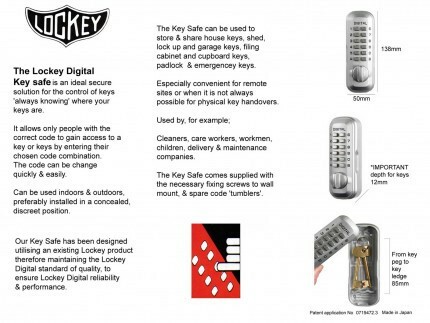 The Lockey LKS200 is designed for indoor or outdoor storage of spare keys for use in an Emergency, for Office use, Holiday Rentals and Lets or for visitors such as health care professionals, Social services and emergency services to make contact with the infirm or elderly. 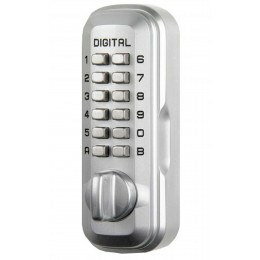 As the safe looks like a digital door lock, fitting on a door aids security as it will suggest that the safe is an extra door lock as opposed to being a key safe. As long as you have an electric drill, and with a hammer action if drilling into brick or stone, then it should take no longer than 15 minutes. 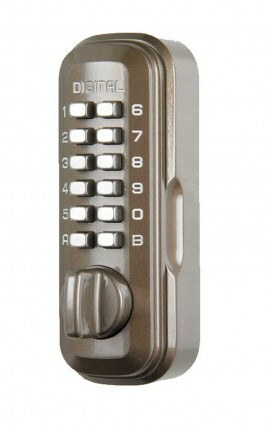 If fixing to a wooden door the 10 minutesmax. 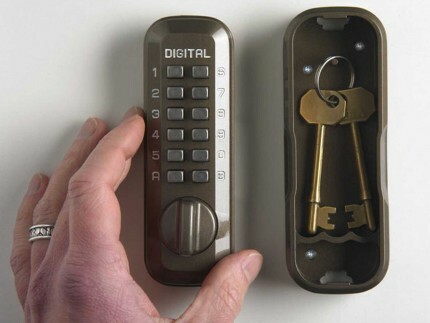 The description says it's digital. Does this require batteries? 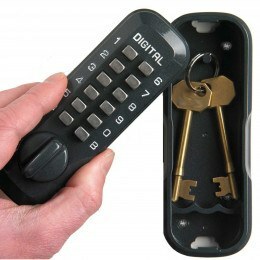 No - Like all outdoor key safes the lock is a mechanical device that needs no batteries.